McGraw-Hill. New. 2001. First Edition. Softcover. 0658016598 . New book, no internal markings, small remainder mark bottom edge of pages, few tiny creases to cover edges. 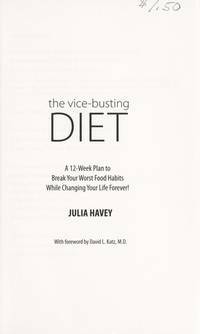 ; 8vo 8" - 9" tall; 128 pages; A leading nutritionist offers a safe, effective, and proven alternative to yo-yo dietingThe nation's recent fat-free "health" craze has resulted in obesity levels up 30 percent, unchanged heart disease rates, an increase in diabetes, and a sugar consumption rate of 150 pounds per year per American! 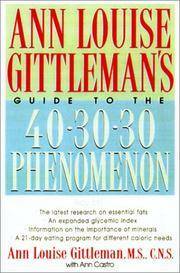 Anne Louise Gittleman's Guide to the 40/30/30 Phenomenon offers a more effective approach to healthy eating and permanent weight loss. The 40/30/30 diet provides a balance of complex carbohydrates, protein, and fat devised to make the best use of the body's hormonal responses to food, thereby regulating blood sugar, reducing stored fat, and preventing hunger and cravings. Time-tested, this user-friendly approach to restored health can be adjusted to fit an individual's biochemical makeup, including blood type. Highlights include: Latest research on essential fats and CLA (conjugated linoleic acid) , Glycemic index of more than 100 food items, Up-to-date information on carbohydrate-connected disorders including diabetes and Syndrome X, 21-day 40/30/30 program for various caloric needs. (*232-osl) . Avon Books. Very Good+. 1997. First Edition. Softcover. 0380790971 . Pages clean, tight and unmarked other than small remainder mark bottom spine end, two tiny edge tears seen. Cover has light wear at corners and a couple small creases. ; 8vo 8" - 9" tall; 304 pages; Feeling Light presents a revolutionary concept that recognizes excess weight as an outward symptom of an internal imbalance of your body's vital energies. Aimed at healing from the inside out, the Feeling Light program offers an exciting health plan that will restore balance by nourishing your body rather than depriving it. You'll realize a miraculous transformation that brings you new vitality and total wellness -- with excess weight vanishing along with other symptoms. Discover which foods restore your body's internal balance. Master a simple method of banishing food cravings - Forget forbidden foods and calorie counting - Lower your risk of diabetes, cancer and heart disease - Enjoy new energy and a sense of well being - Watch Your Excess Weight Disappear! [257-noto] . Kensington. New. 2001. First Edition. Softcover. 0758200501 . New book, small remainder mark spine end bottom. 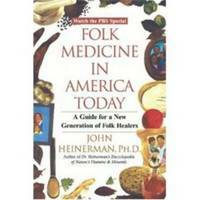 "...a rich history of scores of folk remedies that were brought to our country by immigrants from all over the world.....the author tells you where and when each remedy originated, what it was used for, and how it was made.....Finally, hw gives you specific directions for using folk remedies safely and easily in your own home." [449-notosl]; 8vo 8" - 9" tall; 324 pages . Fawcett. Fine in Near Fine dust jacket. 1996. Hardcover. 0449910016 . Hardcover is as new other than a little bumping to spine ends. Jacket has light scuffing/edgewear - no tears. 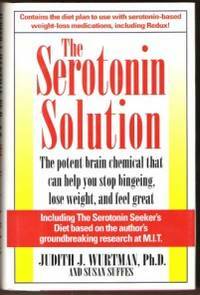 "The Serotonin Solution is the first book to confront and control emotion-driven overeating. Based on ten years of revolutionary research and testing at M. I. T. , Judith J. Wurtman's Serotonin Power meal and snack plan tells you how to allocate protein, carbohydrate, and fat dosages to literally increase the power of your brain to control your eating. The result? 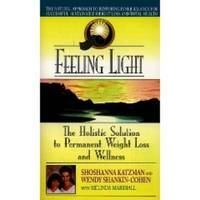 Restored energy, an end to emotional overeating, and permanent weight loss. You will learn to: * identify your overeating triggers* follow a daily meal and snack plan that makes you feel so good you'll want to do it* avoid foods that exacerbate stress or block the stress-breaker foods from working* combine exercise with stress-breaker foods to feel goodand lose weight faster..."  ; 8vo 8" - 9" tall; 288 pages . Houghton and Mifflin. Very Good. 1991. Softcover. 0395585643 . Light wear, a little corner curling, crease on front. Pages clean and intact. B/w illus. 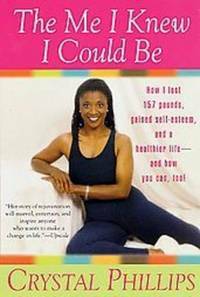 ; 8vo 8" - 9" tall; Publisher's Note: The revolutionary little book that changed America's thinking about eating, exercising and losing weight is now completely updated and expanded. 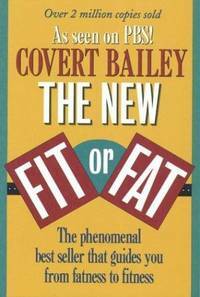 The New Fit or Fat puts the latest scientific discoveries about fat metabolism and exercise physiology into guidelines for daily use. (200osl) . Plume Books. Very Good. 1992. First Edition. Softcover. 0452268184 . Light edgewear, light soiling outer edges, several tiny corner creases, interior pages clean & tight. 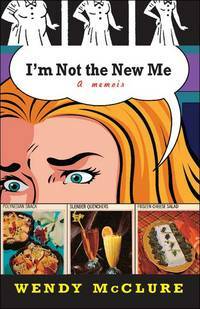 Publisher's Note In this uplifting, revealing book, Roth examines the link between eating disorders and the need for intimacy they often unmask. 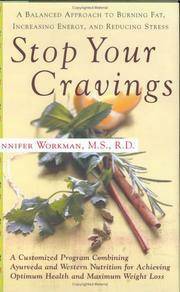 She shows why many people overeat in an attempt to satisfy their emotional hunger and reveals how to stop the cycle of compulsive behavior. (*shipping will be reduced after checkout to most locations) [202-osl]; 8vo . St. Martin's. New. 2002. First Edition. Softcover. 0312270763 . Book is new and unread; it will have a publisher's marking top or bottom edge. Description: The death of Crystal's beloved brother made her realize that life is too precious to waste. In The Me I Knew I Could Be, she shares the tips and revelations that helped her slim down, and enjoy life again.... [240-noto] ; 8vo 8" - 9" tall . Putnam's. Near Fine in Near Fine dust jacket. 1991. First Edition. Hardcover. 0399136371 . Excellent condition, only light wear overall. . Features forty-five quick-fix recipes; a maintenance diet; advice on anti-cellulite rubs, wraps, creams, liposuction, and exercise equipment; and more. Reprint. (400not) ; 8vo 8" - 9" tall . Inner City Books. Very Good. 1980. Softcover. 0919123031 . Light edgewear, couple small creases on cover. Interior clean & tight, no markings. B/w illustrations. 139 pages plus booklists. "This book offers eye-opening insights into the relationship between the individuation process of a woman and the state of her body. 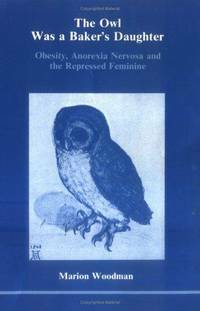 The underlying hypothesis, convincingly presented, is that weight disturbances and eating disorders often have a meaning; that is, they are purposeful symptoms..." Marion Woodman is a Jungian Analyst in private practice in Toronto (at the time of writing). (*Shipping will be reduced to most locations) ; 8vo 8" - 9" tall . Hanna Kroeger. Very Good+. 1976. Fourth Edition. Softcover. Stapled pamplet only very light wear overall, no markings. 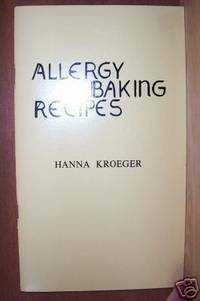 Contains a variety of allergy baking recipes from this famous herbalist. Covers wheat-free, dairy free & egg free recipes. Recipe for cereal-free baking powder, wheat-free cookies, wheat-free cakes, wheat-free muffins, wheat-free pancakes, wheat-free pie crusts, wheat-free breads, egg-replacer, milk substitutes, mayonnaise without milk or eggs, Egg, Wheat and Milk-Free cookies and cakes, & yeast free baking. (*Shipping will be reduced to all locations) ; 8vo; 35 pages . West Nyack: Parker Publishing Co, Inc.. Very Good with no dust jacket. 1980. Third Printing. Softcover. 0136133231 . Light edge & corner, very light soiling. Interior pages clean & unmarked. 253 pages. 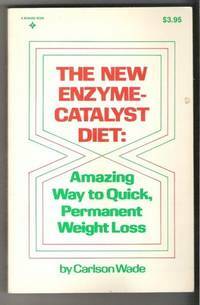 Partial Contents: - How the enzyme-catalyst diet melts excess pounds; - How to use the ECD plan to wash out 10-20-40 pounds of unwanted fat; - The stay slim forever power of fruit enzymes- How enzymes help control compulsive eating urges- 25 natural enzymes foods that act as organic reducing pillsand so on... (**Shipping will be reduced to most locations). ; 8vo . St. Martin's Press. New in New dust jacket. 2002. First Edition. Hardcover. 0312266979 . New and unread, with light shelf wear including slight edgewear, one tiny edge tear and light scuffing. Small remainder mark to top or bottom edge of pages. Women have many secrets. But a woman's secret relationship with food and her body can overshadow other aspects of her life, filling her with obsession, shame and fear. Many women waste countless years focusing on food and appearance, rather than spending energy on what holds deepest meaning for them in life. In What Are You Hungry For? 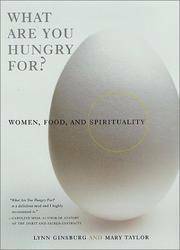 Authors Taylor and Ginsburg show how obsessive dieting, a distorted body image and eating disorders are often symptoms of a deep spiritual void. They offer a revolutionary--and easy to follow--approach to resolving deep-seated food and body issues using methods adapted from Eastern mind/body practices such as yoga. What Are You Hungry For? 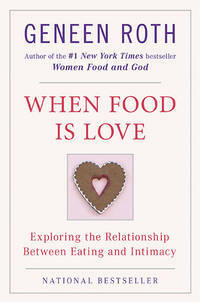 Is a discovery book in the tradition of Susie Orbach's Fat is a Feminist Issue and Geneen Roth's When Food is Love. It will change the way you think about your body and the way you approach preparing and eating every single meal. ; 8vo 8" - 9" tall; 226 pages . Hyperion. New in New dust jacket. 2001. Hardcover. 0786865385 . New book, light shelfwear to jacket, clean, no markings.. ; 8vo - over 7¾" - 9¾" tall; Review: " If this book puts its readers to sleep, author Debra Waterhouse, M. P. H. , R. D. , will be a very happy woman. She wants her female audience to take a nap. She also wants them to "please, oh please, stop dieting," get outdoors, laugh hysterically, fire up their senses, and answer the question, "So where's your gym bag?" 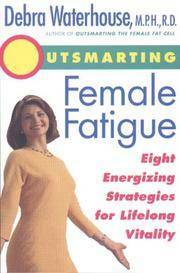 Such wit may seem lighthearted, but this bestselling (Outsmarting the Female Fat Cell) nutrition expert's message is quite serious: women are suffering from a "female energy crisis" and must learn how to recharge their batteries before they conk out entirely... .
By Workman, Jennifer, M.S., R.D. Free Press. New in New dust jacket. 2002. First Edition. Hardcover. 0743217055 . New book, small publisher's mark bottom edge - light shelf wear to top edge of jacket. A Customized Program Combining Ayurveda and Western Nutrition for Achieving Optimum Health & Maximum Weight Loss Complementary medicine nutritionist and Ayurveda instructor Jennifer Workman's new and sensible approach to dieting has helped countless people to understand and work with their natural cravings to achieve and maintain their ideal weight. As the first Western nutritionist to make the ancient Ayurvedic principles practical and applicable, Workman explains why certain foods, including simple spices and culinary herbs like cinnamon, cocoa, cardamom, turmeric, cumin, basil, ginger, and wasabi can have a beneficial effect on weight-loss efforts, digestion, and health.... ; 8vo - over 7¾" - 9¾" tall .